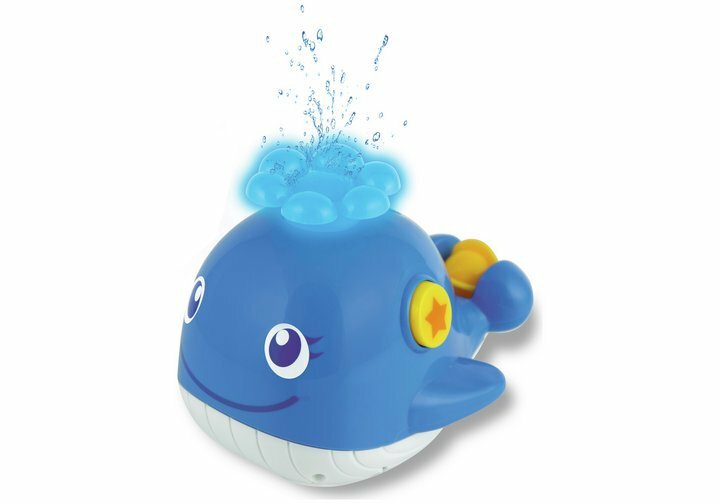 This Chad Valley Whale Bath Toy is a floating fun musical whale with captivating flashing lights and cheerful melodies. Simply press the button to make the whale swim and watch the ball on the tail will twirl in the bath and squirt water from the top. An added bonus is how easy the whale is to drain and keep clean. Get money off with April 2019 free Argos voucher codes, see if there's a promo code for the Chad Valley Whale Bath Toy product. Argos may be out of stock of this product. To enhance your shopping experience you may also be redirected to a search results page when you click an outbound link. 4.2/5 from 20 recent reviews.